<One that carries happiness to you, only one beauty in the world> The material of this work was selected from thousands of sleeping in the chest, and it is a kimono of a congratulatory pattern. While firmly sewing the feelings of wishing for the happiness of those in hand, I finish with polite handicraft one by one. 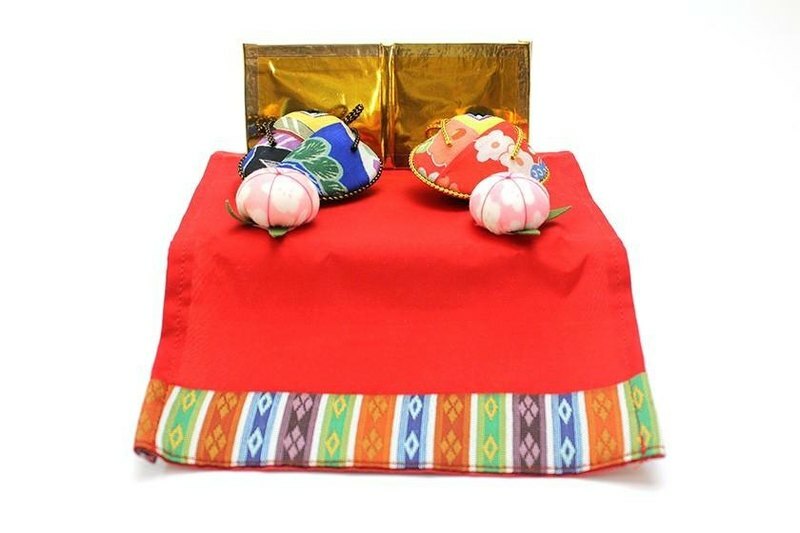 <Japanese gift> A seasonal festival that prays for girls' healthy growth. Cucumber wrapped in kimono one by one is a single point full of individuality making full use of the color pattern of each kimono place. A faintly pink peach blossom was tailored in soft and fluffy ground. The accessories are also compactly fitted, and it is suitable for preservation It is a total torpedo boxed. You can also use a paulown box as a decorative table.